Comments: 'Amiblue' certainly leads one to my Royal Horticultural Colour Chart, 2nd. edition, published in 1940, to better define what color it really is. The closest I can match it up to would be Phlox Purple. So answering the question, Am-i-blue?, its not! 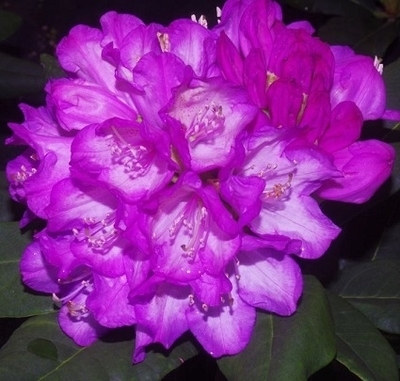 Non-the-less, it is a nice rhododendron covered with purple trusses each spring against a backdrop of large, dark green leaves.